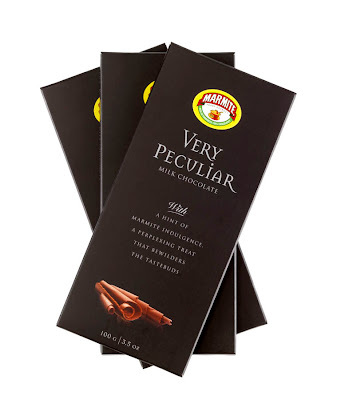 I'm not at all sure how I feel about Marmite chocolate. I love Marmite (I just had some on buttered toast a couple of hours ago) and I love chocolate (I anticipate possibly treating myself to a piece tonight), but those might just be two tastes that don't belong together. Don't get me wrong—I'm adventurous, I'd try it—but I have deep reservations. Now, Marmite cashews, on the other hand? They're delicious.